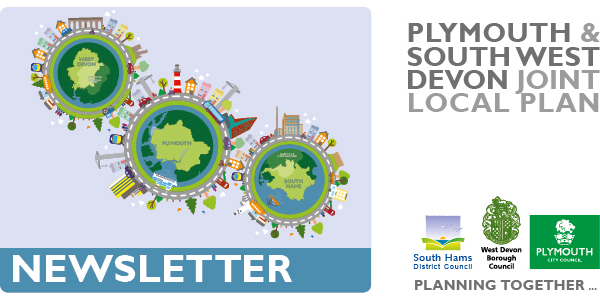 The Plymouth and South West Devon Joint Local Plan will be the single strategic plan dealing with land use and development across Plymouth, the South Hams and West Devon. It will set out proposals that will balance the needs for housing, employment and the environment through to 2034. In the rural areas, it will actively plan for Thriving Towns and Villages. We are launching a public consultation on 1 July and we are asking you to have your say. What will the Joint Local Plan contain? The Joint Local Plan will set out the number of new houses needed and the amount of land for employment. It will show land allocations, to deliver the required housing and employment along with policies to support and manage future development. 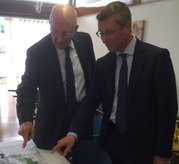 It will also set the background for Neighbourhood Plans to be introduced by local communities. There will be two booklets for you to view, one which deals with Plymouth and areas of South Hams on its border, and one which looks are the towns and villages of South Hams and West Devon. The Joint Local Plan is based on the Plymouth Housing Market Area, which includes all of Plymouth, South Hams and West Devon (excluding those parts of South Hams and West Devon within the Dartmoor National Park). The Dartmoor National Park element will be dealt with in a separate Dartmoor National Park Local Plan. Which booklet do I look at? This booklet is for South Hams and West Devon residents who live in the rural towns and villages across the countryside. This booklet is for residents of the South Hams who live in areas surrounding Plymouth including parts of Bickleigh Parish, Sparkwell Parish, Brixton Parish and also Plymouth residents. No. All three councils already have adopted Local Plans – and have consulted in the past couple of years on what should go into new Local Plans. 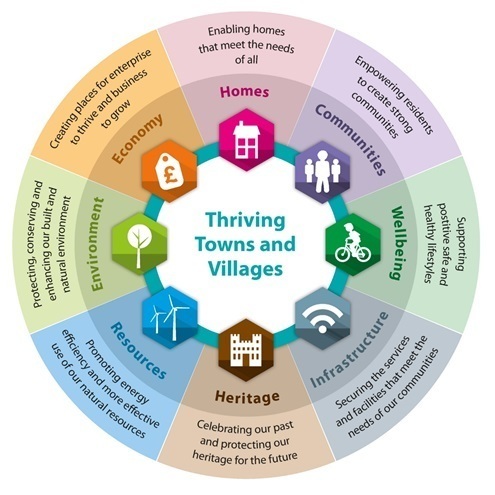 What is new, is the joint approach that allows for co-ordinated and targeted development of housing, employment and services across the city and the surrounding rural areas of South Hams and West Devon. When was the decision to have a Joint Local Plan made? All three councils have been co-operating on Local Plan issues for many years. With an increasing expectation that neighbouring councils produce Joint Local Plans, the three councils agreed this was the best route to achieve a sound Local Plan and deal comprehensively with the development needs for the whole area. The decision was made at South Hams in December 2015 and at West Devon Council and Plymouth Cabinet in early February 2016. What’s happened to ‘Our Plan’? 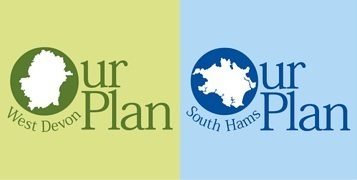 The Joint Local Plan brings together previous work that has already been carried out by the three councils on South Hams: ‘Our Plan’, West Devon’s ‘Our Plan’ and the Plymouth Plan. It will create a single set of objectives and policies, while retaining the councils’ individual identities. 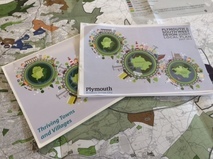 These themes, which have emerged through the South Hams and West Devon ‘Our Plan’ work, are carried into the Plymouth and South West Devon Joint Local Plan. Who produces the Joint Local Plan? It is produced jointly by the three councils working together (with the support of a wide range of other organisations). Subject to the plan being found ‘sound’, it will be adopted by the three councils and guide development in future decades. What timescale will be followed to develop the Plan? This will be followed by a more formal consultation on a detailed plan in the autumn – leading to submission of a finalised Joint Local Plan to government, early in 2017. What role will local communities play? Local communities have already contributed to the process in the past two years and will be invited again to contribute to the Joint Local Plan. This will be during the summer and autumn consultations. What role will Neighbourhood Plans play? Neighbourhood Plans are development plans produced at parish or ward level. 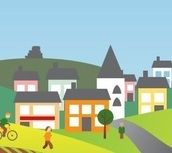 38 Neighbourhood Plans are currently underway across the Joint Local Plan area and, when adopted, will stand alongside the Joint Local Plan in guiding development. Generally, the Joint Local Plan will set out higher level policies and Neighbourhood Plans will establish local sites and policies. What about Infrastructure and Services? Where new development takes place there may be a need to upgrade, or provide new, community services and infrastructure. The three councils will be working closely with infrastructure providers (including highways, education, broadband, energy, water and sewerage) to ensure appropriate infrastructure and services are provided. What difference will this make to the average resident? Development in your local area will follow this Joint Local Plan produced by the councils on behalf of local communities. Without a Joint Local Plan, the location and type of development will be largely led by landowners and developers. Why should someone in Plymouth influence what is going on in the towns and villages - and vice versa? The city and surrounding rural areas have developed together for centuries. The city has provided trade, employment and cultural facilities, whereas the rural areas have provided food, recreation and resources. A Joint Local Plan reflects this close relationship and provides for comprehensive and careful planning across the whole area. 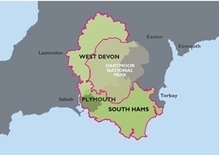 What are the benefits for Plymouth, the South Hams and West Devon? A shared approach to development that delivers benefits for all, but also reflects the differing needs of the city and the rural areas. A joint process and single Joint Local Plan examination will reduce costs and allow a combined approach to be examined and tested in one place at one time (rather than three separate examinations which could open up divisions between three separate plans). What issues are you being asked to comment on now? There is an overall housing requirement of 30,300 homes between 2014 and 2034, being distributed across the city, towns and villages. This assumes 21,000 homes being developed in and around the city; 8,700 homes being in the towns and villages and 600 being within Dartmoor National Park. Consultation on the Joint Local Plan begins 1 July and ends at 5pm on 12 August 2016.